President Barack Obama is expected to sign the bill, which supporters say will discourage leaks of classified information. The legislation would allow intelligence agency whistle-blowers to raise concerns within their agencies instead of giving classified materials to WikiLeaks or other outlets, which is illegal. Without protections spelled out in law, whistle-blowers risk being fired or demoted for informing their chains of command about misconduct, according to Tom Devine, legal director at the Government Accountability Project. That leaves no alternative to anonymous - and potentially damaging - leaks unless whistle-blowers are willing to jeopardize their careers, he said. "Until this law is passed, WikiLeaks will continue to be the safest option for whistle-blowers unwilling to engage in professional suicide," said Devine, who is coordinating support for the bill from a coalition of more than 60 public interest and advocacy groups. The Senate is expected to approve the bill this week and send it to the House, where Democrats are planning to pass it quickly. In an e-mailed statement, White House spokesman Josh Earnest called the bill "landmark legislation" that the Obama administration hopes "will be passed promptly." The bill would not protect WikiLeaks or anyone who improperly reveals sensitive information. On Sunday, WikiLeaks, which uses the Internet to expose government secrets, released thousands of classified State Department documents, leaving federal officials fuming and scrambling to contain the damage. No one has been charged with passing the diplomatic cables to WikiLeaks. But suspicion is focused on Army Pfc. 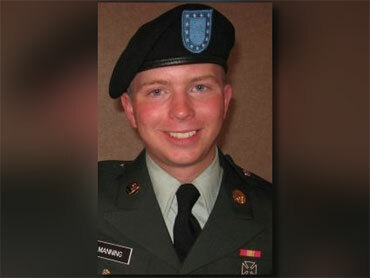 Bradley Manning, an intelligence analyst arrested in Iraq in June and charged over an earlier leak. Attorney General Eric Holder said Monday the Justice Department will prosecute anyone found to have violated U.S. law by giving government documents to WikiLeaks. The Whistleblower Protection Enhancement Act bars workplace reprisals against employees at the CIA and other intelligence organizations for telling their superiors about illegal activities, abuses of authority and dangers to public health or safety, according to a draft of the legislation. The bill also requires the director of national intelligence to set up a special review board to resolve cases involving whistle-blowers who believe their security clearances were suspended or revoked as punishment for speaking out. This would mark the first time employees with clearances will be able to dispute an agency's decision regarding access to classified information. It also gives expanded whistle-blower protections to civil service employees outside the intelligence agencies, including thousands of Transportation Security Administration baggage screeners and headquarters staff. The rights extend to employees who challenge the censorship or misrepresentation of federal research. Whistle-blowers outside the intelligence agencies would also be able to seek a jury trial in federal court to appeal dismissals or demotions. An earlier version of a House bill extended this provision to intelligence employees. But Obama administration officials objected, arguing classified information would be compromised if these cases were heard outside a classified setting. Rep. Edolphus Towns, D-N.Y., chairman of the House Oversight and Government Reform Committee, said Wednesday the legislation "provides a means of securing justice to those individuals who are punished for doing the right thing." In a bid to draw attention to the risks whistle-blowers now face, Devine's organization prepared a report detailing the ordeals of 12 government officials whose employers sought "to enforce secrecy though repression." Among them is Thomas Drake, a former National Security Agency official who reported "massive fraud, waste and abuse" in agency surveillance programs to the NSA inspector general's office. Drake's reward, according to the report, was an indictment in April under the Espionage Act for allegedly making unauthorized contact with a newspaper reporter after he had exhausted all other means for disclosing the problems he witnessed.